Start taking classes at InterKinected and other studios! 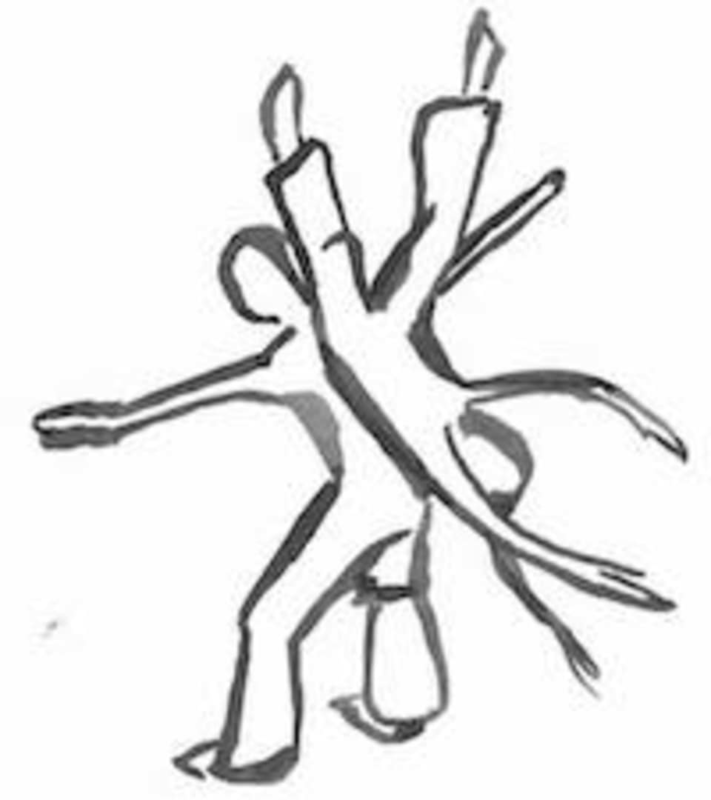 InterKinected offers two weekly classes in Contact Improvisation. “The FUNdamentals of Contact Improvisation for All Levels” on Thursday evenings, and "Contact Improvisation Basics" on Saturday afternoon. They have a rotating staff of experienced teachers, who usually teach one whole month at a time. First timers are always welcome. These classes are for all levels. Beginners are encouraged to try what they feel comfortable with and to understand that not all exercises may be accessible right away. For more individualized attention, the smaller class on Saturdays in the Saw Tooth building in Berkeley is a good choice. Observation is always an option. ﻿Comfortable clothes that covers knees and elbows is recommended. Bring water. Please wear clothing that is comfortable to move in. It is recommended to where clothing that covers the knees and elbows. Please, bring a Water Bottle. The Saturday Class doors open at 130pm, at Studio Azul (suite 16) in the Sawtooth Building, 2525 Eighth St, Berkeley, CA. The Thursday Class doors open at 630pm, at Finnish Hall, 1970 Chestnut St, Berkeley, CA. Saturday 1:30 location is entrance on Eighth Street, in Bay One, Azul Studio. It's a huge building with parallel hallways, so get help from a tenant for Bay One. Guest instructor, Olivia, from Vancouver. Good intro for a brand new person. You need to be able to crawl and roll on the harwood floor (wear clothing that covers the body parts you need covered, spongy kneepads is you have them, be healthy enough to get down for floor work). There's contact partner work that involves bearing another person's weight. You can sit out and observe if you're unable to do this. I found out this modality isn't for me, but I'll go back once in a while to improve on technical floor skills.